Does Farmer Field really know his prize cow, Daisy, is in the field? When is an unexpected exam not wholly unexpected? Are all bachelors (really) unmarried? Martin Cohen's 101 Philosophy Problems, Fourth Edition introduces philosophy in an entertaining but informative and stimulating way. Using philosophical puzzles, conundrums and paradoxes he skilfully unwraps some of the mysteries of the subject, from what we know - or think we know - to brainteasing thought experiments about ethics, science and the nature of the mind. For the Fourth Edition there are many new problems, including Maxwell's Moving Magnets, Einstein Changes Train Times, and Zeno's Paradox of Place; as well as two brand new sections including puzzles such as Lorenz's Waterywheel, and the Battle for Fractal Farm, and perplexing ethical dilemmas. The book has been extensively revised to bring it up to date with new developments in philosophy and society. 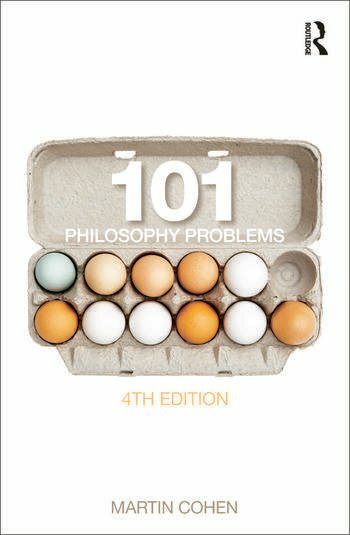 With an updated glossary of helpful terms and possible solutions to the problems at the end of the book, 101 Philosophy Problems is essential reading for anyone coming to philosophy for the first time. Martin Cohen has established a worldwide reputation as a radical philosopher and unconventional thinker. He has published many books, which have been translated into around twenty different languages.